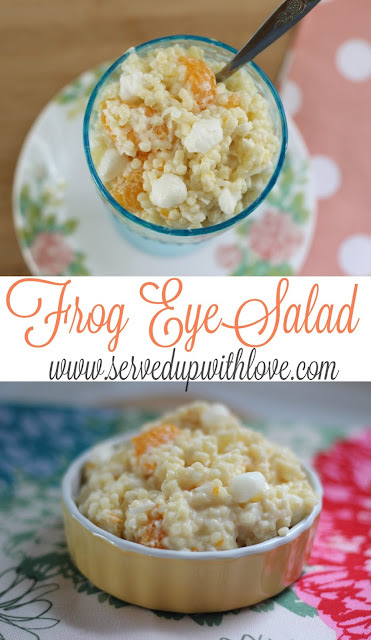 Have you ever had Frog Eye Salad? Oh my word, this stuff is crazy good! 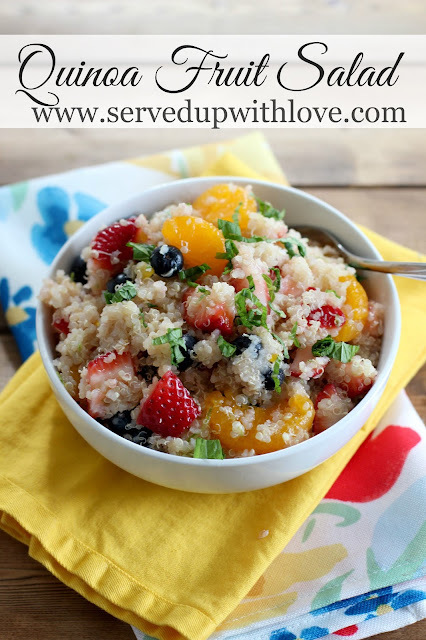 My sister is the one who makes this for our get-togethers and as soon as she mentions she is making it, I am over the moon excited. When my son graduated from high school last month I asked her to help me out with a dish for the party afterwards. Her immediate response was "I can make the frog eye salad!" I did not hesitate to answer her with a YES! I could seriously eat this stuff until I can't move. This was a huge hit with everyone that attended. It is always a hit whenever she makes it. It is funny when you tell people what it is called and they look a little perplexed. Frog eyes really don't sound all that appetizing do they? Trust me on this one, if you have not ever had this you are in for a treat. So what are you waiting for? 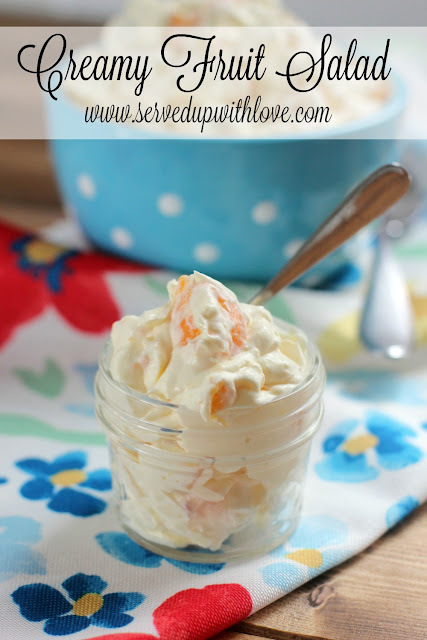 Make this today! Be the talk of the party when you walk in with this Frog Eye Salad. I bet you will get some funny looks but as soon as they taste it, they will ask you for the recipe. 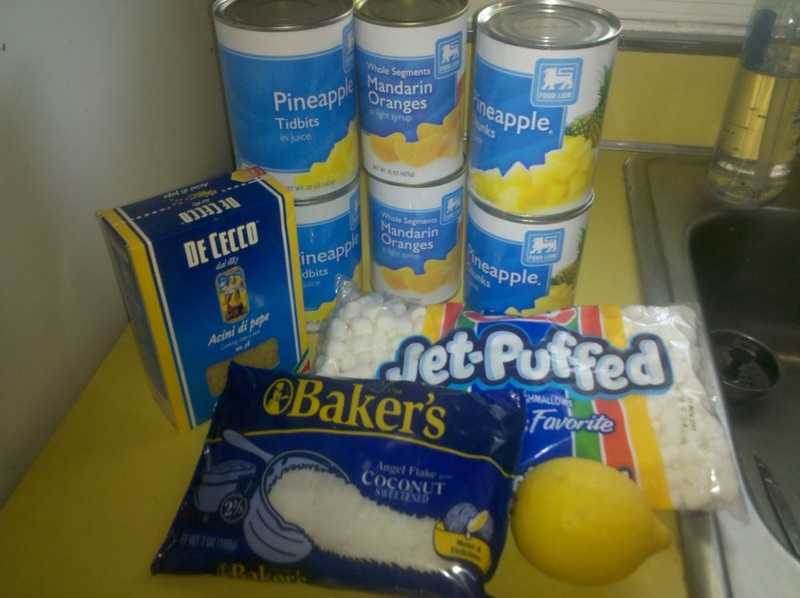 In sauce pan, combine sugar, flour, ½ tsp salt, pineapple juice and eggs. Stir and cook over medium heat until thickened. Remove from heat, add lemon juice and cool to room temperature. Bring water to a boil, add oil and a pinch of salt and cook pasta until al dente. Rinse under cold water and drain. 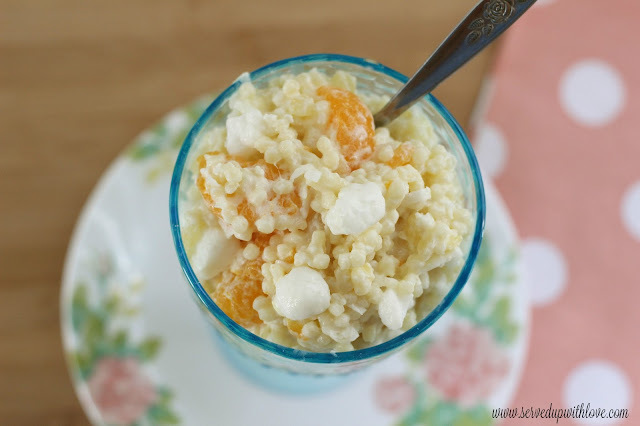 In a large bowl combine pasta and egg mixture, mandarin oranges, all pineapple and whipped topping, mix together well. Refrigerate overnight or until chilled. 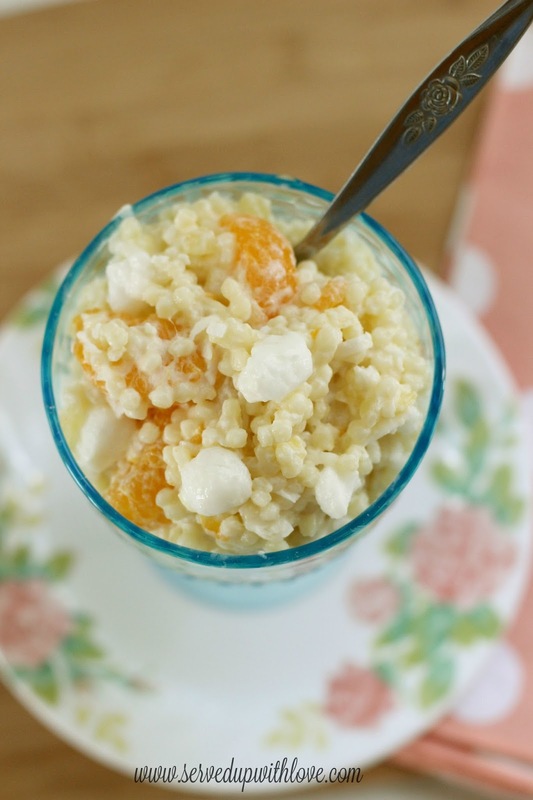 Before serving add marshmallows and coconut, toss everything together and serve. The amount of salt is not listed in recipe. Thank you Patt for pointing that out. All is well now, I have adjusted the recipe to show the salt. Thanks a bunch!